WOTS Summer BBQ! – Welcome to the Blog of Fusion Partnerships! 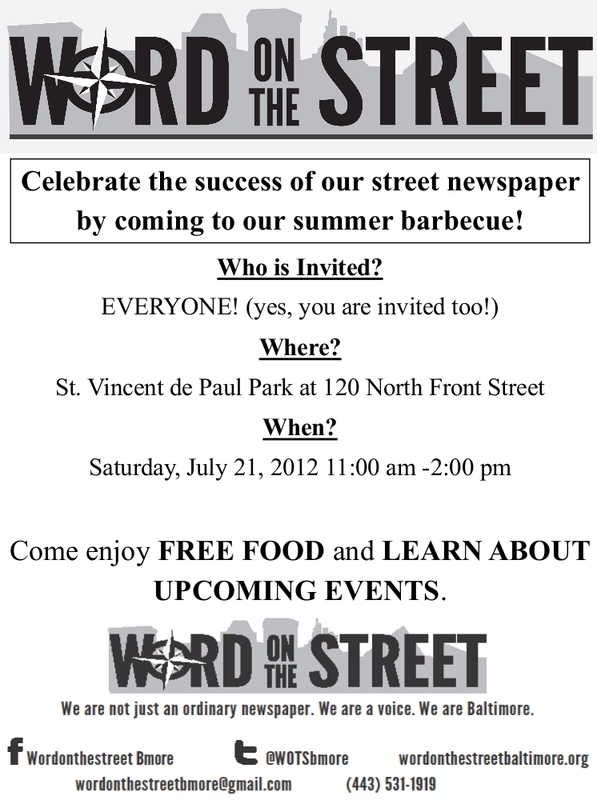 Fusion program Word on the Street will be holding a BBQ open to those homeless individuals in Baltimore and their allies at St. Vincent de Paul Park (a few blocks from Healthcare for the Homeless) in order to celebrate the success of Word on the Street and raise awareness of homelessness in Baltimore! Check it out!